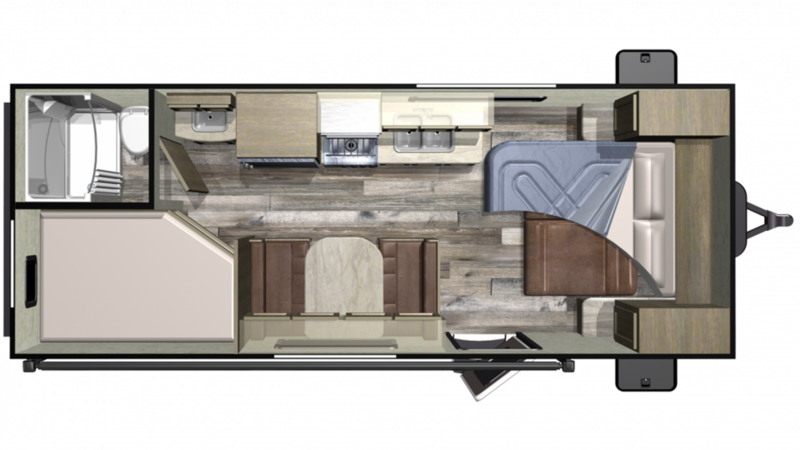 If you've got your heart set on the 2019 Starcraft Autumn Ridge Outfitter 20MB Travel Trailer, then RV World MI in beautiful Grand Rapids, Michigan is the place to see it up close and personal. We've been servicing RV enthusiasts in Michigan and across the nation, with astonishing prices on all our new RVs, as well as fabulous specials and clearance pricing! 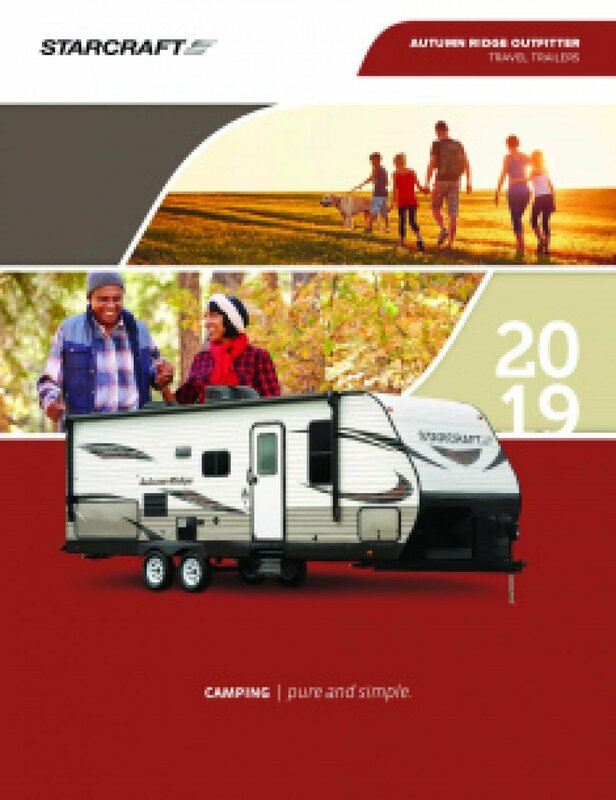 We're conveniently located at 7834 S Division Grand Rapids Michigan 49548 and you can stop in and see the Autumn Ridge Outfitter 20MB or any other top brand RV! So give us a call today at 616-591-3632 and let us make your dream come true! The kitchen's 6.00 cu. ft. refrigerator keeps your produce nice and fresh, even on long trips! With the 3 burner range cooktop, you can cook up your favorite dishes no matter where you are! Enjoy ample water for cleaning, drinking, and cooking with the 48 gallon fresh freshwater tank! The communal bathroom is often cramped, damp, and disgusting! Enjoy the privacy and convenience of your own personal shower and Foot Flush toilet! With 60 lbs. of LP tank capacity, you can enjoy hot water even after your family members take long showers! The 32 gallon gray water tank and the 32 gallon black water tank store all the used water and waste discreetly, so you don't have to look at or smell it! Cozy sleeping can be experienced in the bunkhouse! It's snug and private, so it's the perfect place for your kids or guests to sleep!